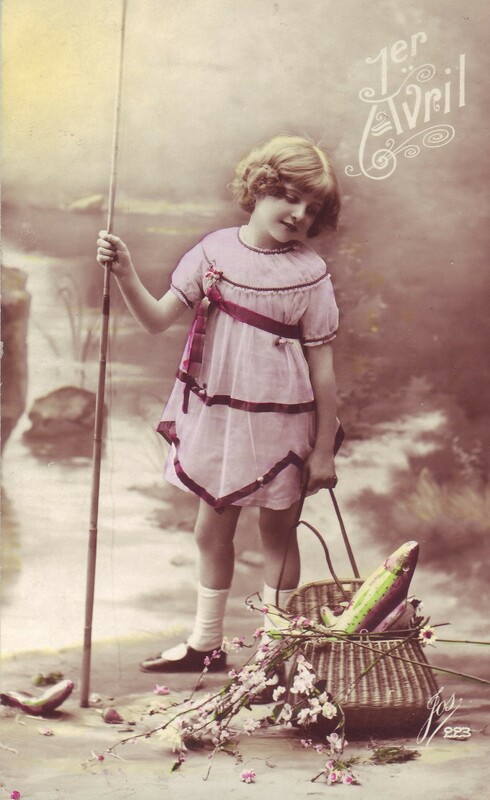 During that time, the 1st of April coincided with the end of Lent when the Church forbade Christians to eat meat. 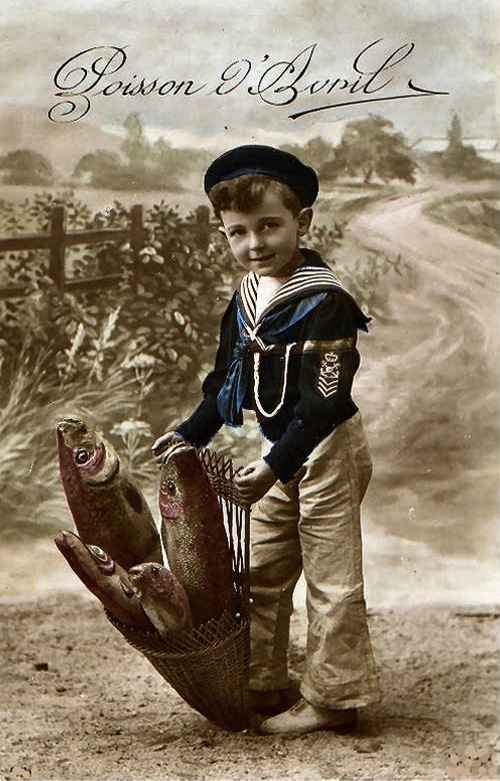 Fish was tolerated and was often used in the offering of gifts for the New Year. 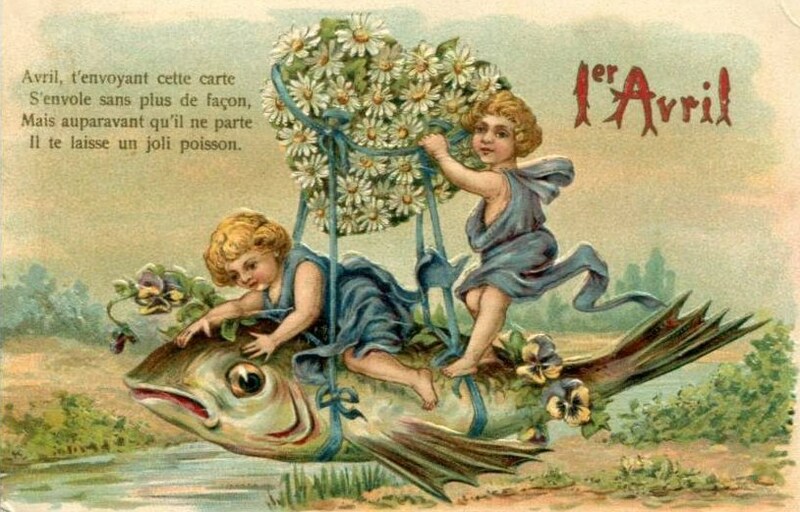 Ha, ha, ha “April Fish!” I have tagged a paper fish on your back and we are happily laughing with French children and adults who are tricking each other in the same way. 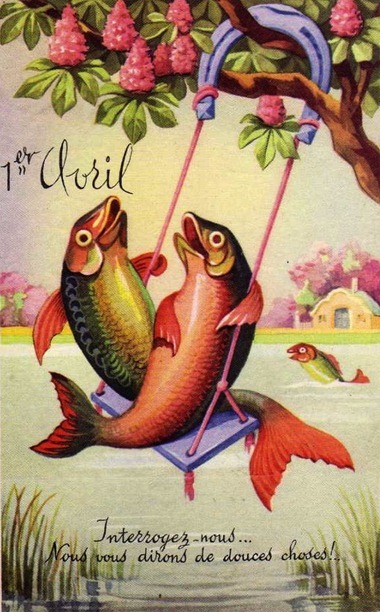 Today is April Fish Day! Let’s celebrate! You know to see happy laughing eyes of my family and friends is the greatest happiness I can imagine and wish for myself and for you! I invite you to share our today’s laughing by watching The Cat Concerto. Jerry is the Master of a pranks! this is wonderful Glorialana. I learned something new and enjoyed these delightful images. Dear Linda, I kiss your cheeks and hug you with love! Thank you! Dear Gloriana, your pictures are beautiful. 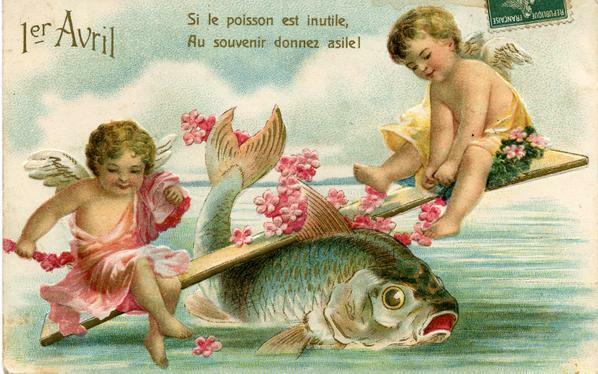 I run a journal of poetry, and I would like to put your picture of two fish on the 1st of april on the cover. Would you be willing? Dear Olivia, of course you can use the pictures you like. Actually it is not mine I have found it somewhere on endless galaxy of Internet :-). Happy New 2016! Most interesting, and very colourful, thanks for blogging this, I think I will re-blog this and share on my Facebook page, as I’m sure many of my friends and followers will love this. Best wishes and blessings, Charles. Dear Charles! 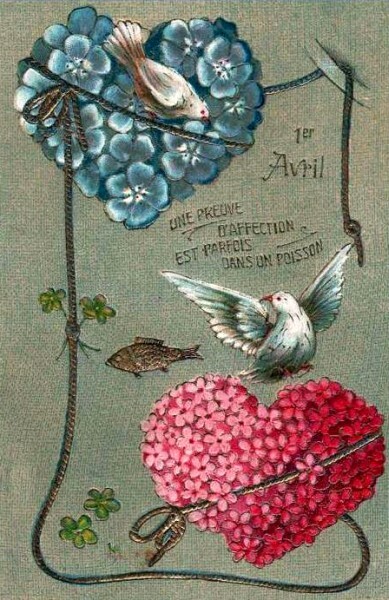 My heart are singing grateful song to you :-). Thank you for sharing and hope to please you again! Most interesting, very colourful and great fun, please enjoy! I usually don’t believe on any new & unusual stories that I come across on April 1st, I think I’ll make an exception here :). Lent is finished. Meat story is in oven :-). Tasty weekend! you have such amazing images – beautiful post!! Thank you, Brenda! Lent is finished – ice cream allowed! Happy and delicious weekend! No ice cream during Lent? How grim! Love your site. Could spend all day here.